Sale - shelf life until 10/2018. Cream for face and body with aloe - nourishing cream consisting of aloe Vera, sunflower oil, safflower oil, sandalwood oils and zinc, softens and moisturizes the skin, protects from harmful effects of ultraviolet radiation (SPF 30 UVA / UVB sunscreen). Prevents the penetration of germs, particles, atmospheric dirt, has antiseptic properties. Helps reduce the risk of aging and skin cancer. Suitable for normal to oily skin. 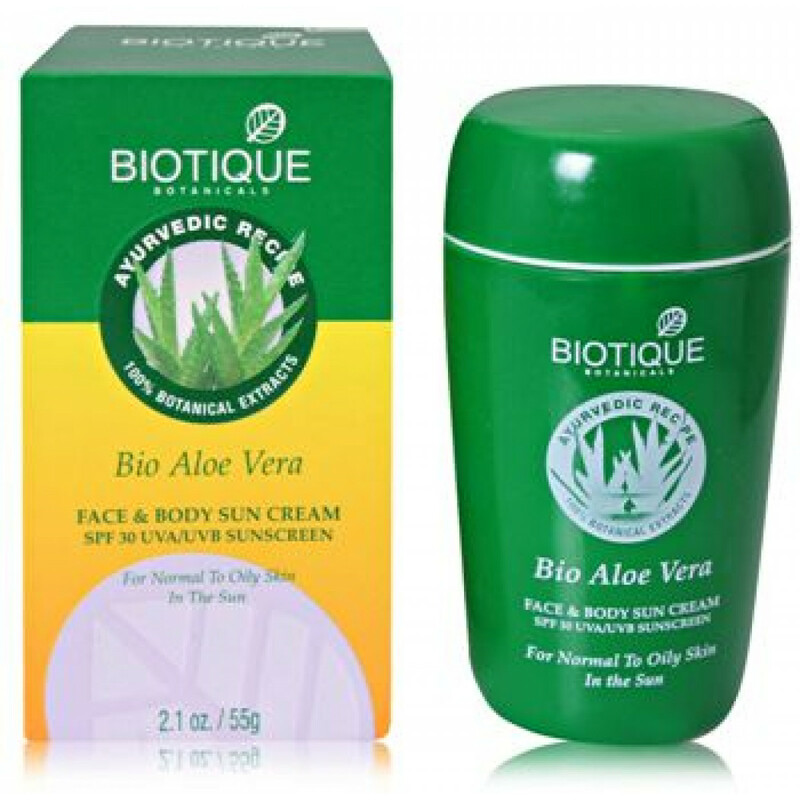 Original name: Bio Aloe Vera Cream-Biotique. In our store You can buy authentic Cream for face and body with red gram Biotic at the best price! Attention! All products of the company Biotic we import directly from India!